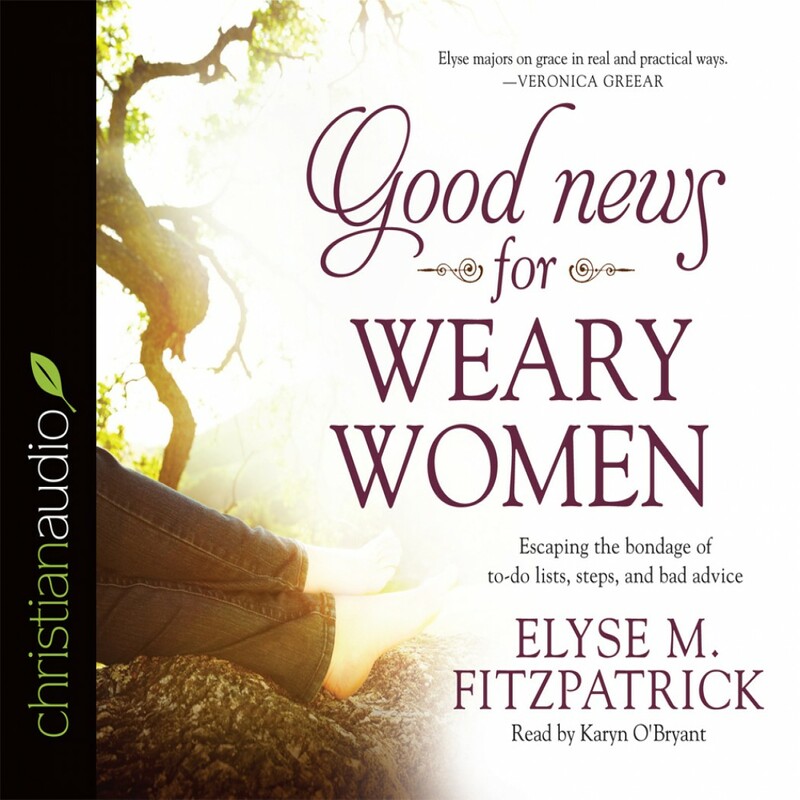 Good News for Weary Women by Elyse M. Fitzpatrick Audiobook Download - Christian audiobooks. Try us free. Are you exhausted? Women today really do feel the weight of the world on their shoulders. Every morning we are greeted with a long list of to-dos: get the kids up and out the door on time, have a meaningful quiet time, put in a full day at the office, spend an hour at the gym, prepare a healthy and delicious meal (organic and locally grown, of course), and make sure the sink sparkles before you go to bed. Oh, and don’t forget to look great and smile while you’re doing it. These are all good things to do, of course. But the bigger problem occurs when we start to feel as if our worth is measured by our to-do lists. And the messages we receive at church, on Facebook, and from the media only perpetuate these unrealistic expectations, creating a relentless cycle of exhaustion. As Elyse Fitzpatrick has traveled this country, she has seen increasing evidence of this weariness epidemic invading our churches and communities. And she has good news for women everywhere: there is hope! God doesn’t judge us by our to-do lists. Free yourself today from the endless stream of bad advice and discover the true rest God offers.